About 360 million people worldwide have hearing loss and another 285 million are blind or visually impaired. Closed captioning (CC) or subtitling helps the deaf or hard of hearing whereas understand videos whereas audio description helps the blind or visually impaired. Captioning also helps people who may not be fluent in the native language of your video. Closed captioning and subtitling are both processes of displaying text on a screen to provide additional or interpretive information. CC transcribes every sound while subtitles transcribe spoken words only. Closed versus “open” captioning indicates that the captions are not visible until activated by the viewer. Subtitles or open captions are “burned” into the video and are visible to all viewers. 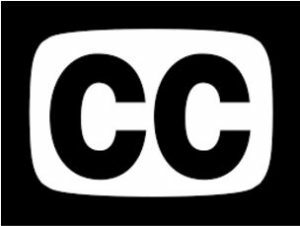 Closed captioning is required on all programs that were broadcast in the United States, consequently it must include the closed captioning when it is replayed on the internet. Many social media sites that offer live streams will automatically serve up captions for free but the results may not be very accurate. It’s important to quality check and correct closed captioning for wording and timing errors. Although this artificial intelligence is free, we recommend using a human transcriber for anything that’s more than 30 minutes, or anyone speaking with an accent or using difficult words or acronyms for a particular technology. Captioning timing is important. You don’t want the person viewing the captions to have a lesser experience than any other person watching. The text placed on the timeline must match the video. Otherwise the story or the climax or some important scene will be revealed before the person actually says those words. Closed captioning starts by transcripting the audio into a text file. If a written script exists, then it’s just a matter of copying and pasting that text into a closed captioning format. There are many video formats. Most formats support closed captioning. SubRip (.srt) files are the most common. The subtitles used on YouTube and Vimeo are srt. Advanced closed captioning formats that allow for changing the text’s position, font style and font color, but the support for playback is limited. Videos on YouTube have closed captioning automatically added, but the accuracy is far from perfect. Auto-generated captioning are unable to decipher speech with accents or speech impediments. They are also very poor at spelling proper nouns and technical terms. Mediapolis can replace the inaccurate captioning with proper closed captioning or even provide an additional language. Closed captioning can display additional languages. Your main audience speaks English, but it’s important for other segments of your audience who don’t speak English to understand the content. Mediapolis can create additional closed captioning for any language. Live captioning adds captions to the video of live events. Webcasts or broadcasts used live captioning . It requires several important tools. The first is a source of transcription such as a stenographer or speech recognition software. Closed captioning is for all audiences. When was the last time you were in a sports bar and the sound was turned off, but you could understand what was happening because you could read the text? We look forward to working with you on your next project that needs captioning. Contact Mediapolis today to get started.